So we have been doing a little housekeeping. 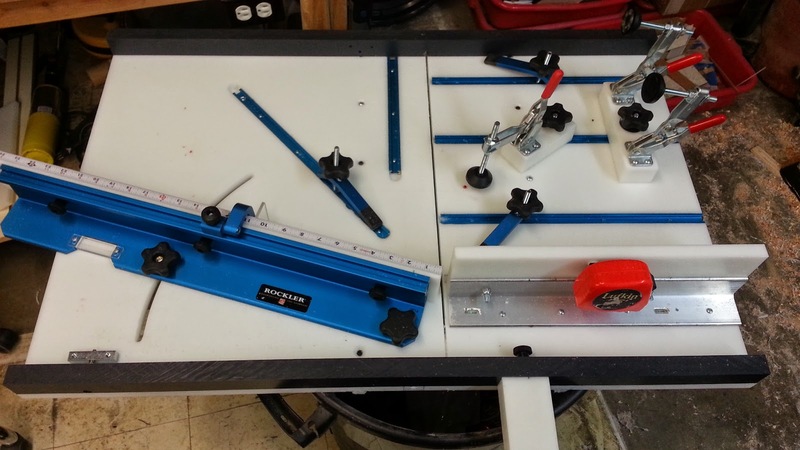 Amongst other things we spent probably an inordinate amount of time on building our tablesaw sled. I say inordinate because between sickness, injury,and a large order we also had a shaper malfunction and a bandsaw apocalypse! Once we worked out those issues (no small feat in itself ), in our infinite wisdom we have 3 other projects that have been held off too long and are hindering our progress. None of these things will stop us....if anything when finished we will be more efficient and produce products quicker...which is cool! You can't buy a sled like we made. We even considered manufacturing the sled for others but once we took a breath we realized it would cost about $150 in material and $3000.00 on engineering cost...lol, thus the thought quickly expired. Again we are not brought down by the recent events and minor setbacks, it's something everyone that manufactures products probably experiences.... I am just dumb enough to say it in public! Rollie & Helen's Here We Come!